HR Integrity is proud to offer estate, downsizing, de-cluttering and re-organization services. Our mission, just like our name is to provide honest, discreet and compassionate care to our clients. I am proud to say while growing up I was blessed to learn from 2 dedicated hardworking parents that both modeled a strong work ethic and always demonstrated integrity and loyalty in all that they did and I would not run my business any other way. We deal with each project differently because no two people or situation are the same. We will sit down with you and go over a plan and timeline that works with all parties involved. All our clients are always so pleased with our friendly, efficient and ability to pay attention to detail with our sales that they highly recommend us. Partying on Peno- ESTATE SALE! OH WHAT FUN! Huge estate sale this weekend- TONS OF TOOLS! This sale is out of this world! 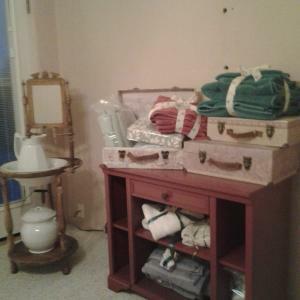 Fabulous 4 Hills Estate Sale! Avid Harley Rider, ambitious gardner and a bit of a collector. Retro Mid-Century Monster Estate Sale! ESTATE SAL:E- Your not going to believe what we found! Exciting sale Saturday! Last day, HUGE DISCOUNTS! Due to my uncles death, I hired Ms. Spear to clean and handle the estate sale. I was extremely pleased , she did a fantastic job. Since then I have used her services for my own home.